Fri., April 21, 2017, 9:09 a.m.
NYON, Switzerland – Defending champion Real Madrid will meet city rival Atletico Madrid in the semifinals of the Champions League in a rematch of last season’s final. The Spanish teams also met in the 2014 final, with Madrid winning both times. The draw on Friday pitted Juventus and Monaco in the other semifinal. Madrid will play the first game at home on May 2. Monaco will host Juventus on May 3. The return legs will be the following week. The Madrid clubs have faced each other in the last three Champions Leagues. Madrid also defeated Atletico in the 2015 quarterfinals. In its seventh straight semifinal, Madrid is trying to become the first team to repeat as champion since the competition’s new format was created in 1992. It won a record-extending 11th title last season. Atletico is seeking its first title. In addition to the defeats against Madrid, it also lost to Bayern Munich in the 1974 final. The second leg against Madrid will mark the last Champions League game at the Vicente Calderon before Atletico moves to its new stadium. “The best stage to bid farewell to the Calderon in the Champions League,” Atletico midfielder Saul Niguez said. 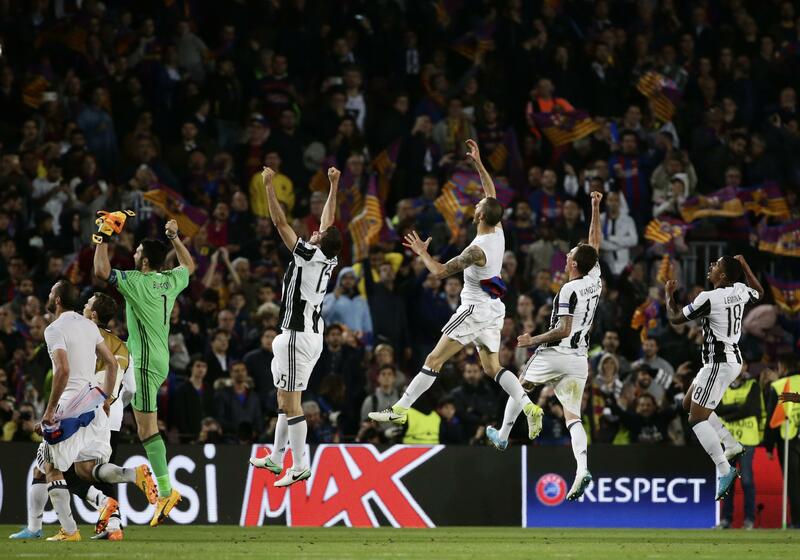 Two-time champion Juventus is trying to return to the final since losing the final to Barcelona in 2015. That year, it eliminated Monaco in the quarterfinals with a 1-0 aggregate score. “It’s a tough opponent, they shouldn’t be underestimated, because we know how dangerous they can be,” Juventus defender Stephan Lichtsteiner said. “Having seeing them up close against us two years ago, when they had the same coach, I can say they play lovely football, they’re very quick up front and strong in attack. Juventus is looking for its first European title since 1996. Monaco is in the semifinals for the first time since it lost the 2004 final to FC Porto. The final is in Cardiff on June 3. Published: April 21, 2017, 9:09 a.m.